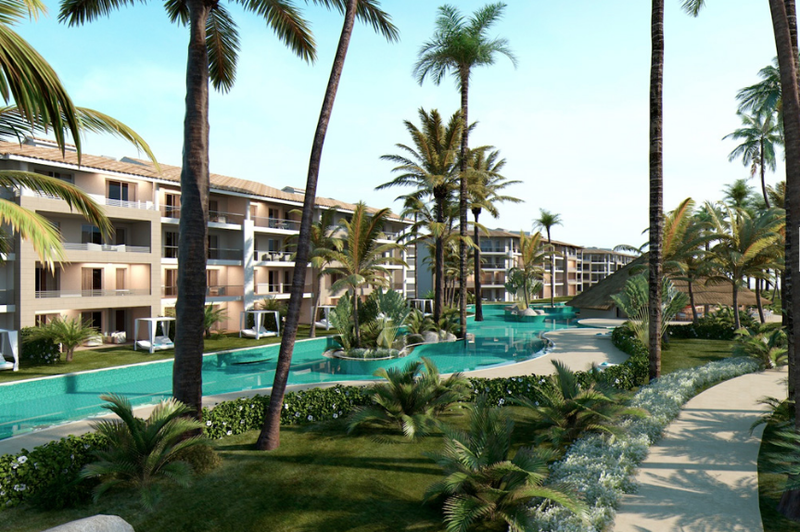 The Majestic Mirage is the newest Majestic resort in Punta Cana, focused on offering a luxurious experience between the rich fauna and beautiful white sands of Bavaro Beach. The Mirage offers a wonderful destination wedding blending immaculate service and modern details with a truly tropical location. 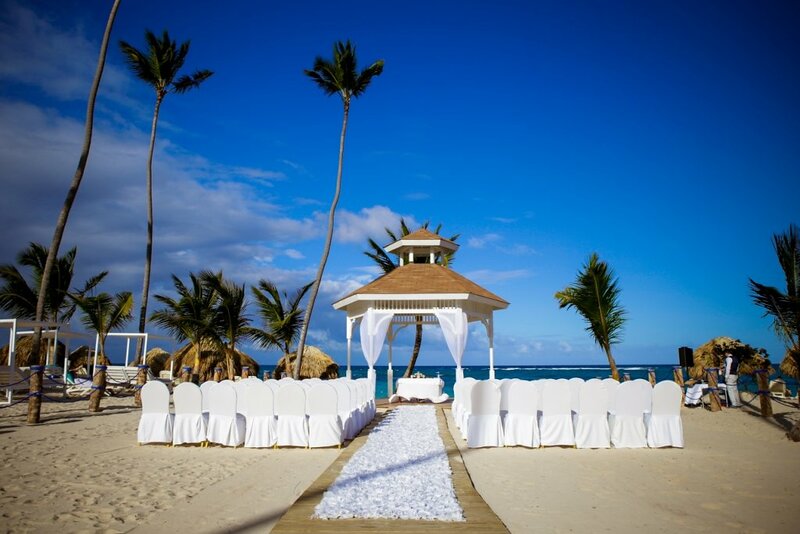 Whether you choose between the beach, or the Chapel, you can be sure your Majestic Mirage wedding will be a truly unique and unforgettable experience. 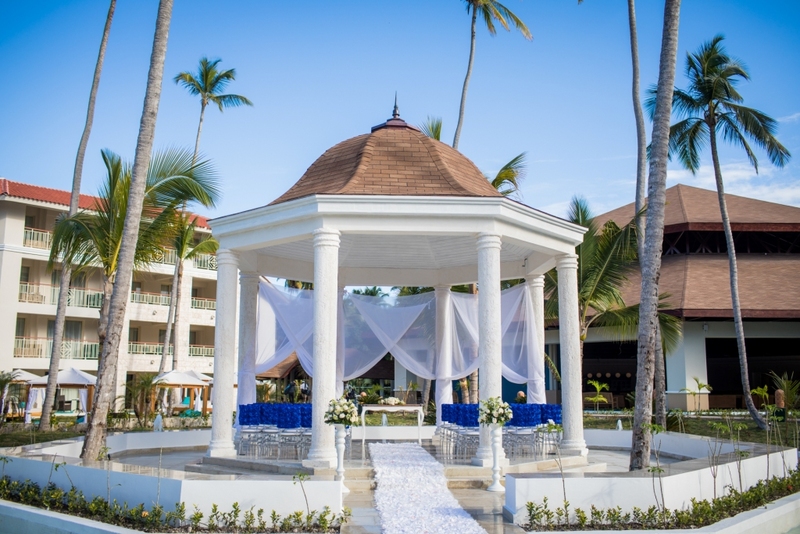 Although it has fewer rooms than the other Majestic resorts on property, it offers more space and luxury in its detailings, perfect for smaller wedding parties. Luxurious amenities are available to all wedding guests regardless of room location, including butler service and premium liquor. This resort can entertain wedding guests that include families too with the included children’s club, as well as babysitting services that are available for an additional charge. The Majestic Mirage offers a standard wedding package at $1250 for symbolic or $1750 for civil or Catholic. There’s an additional charge after 60 guests. In order to qualify for a free wedding package, there must be a purchase of 15 rooms for a 7 night stay or total of 105 room nights between the group. Upgraded packages, additional guests, and add-ons are available for an additional cost. $150 – $230 average price per person per night. 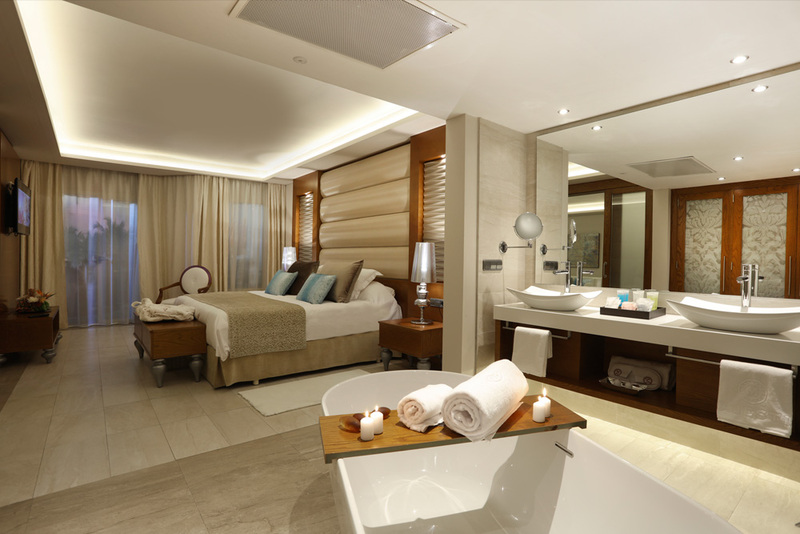 Rooms include outdoor jacuzzi, Nespresso machine, premium bar selection, and 24-hour room service. Children 2 and under are free. There are 510 all-suite rooms divided between the Family Club with 152 rooms and Mirage Club with 358 rooms. Room options include direct pool access, garden, and ocean views. The Majestic Mirage is recommended for more active guests. Majestic Elegance shares amenities with the other two neighboring Majestic properties, including the sports bar, late-night snack bar, and nightclub, but the resorts do not have exchange privileges. Wedding couple has access to a bracelet with some exchange privileges to all 3 Majestic resorts, such as access to all of their restaurants. 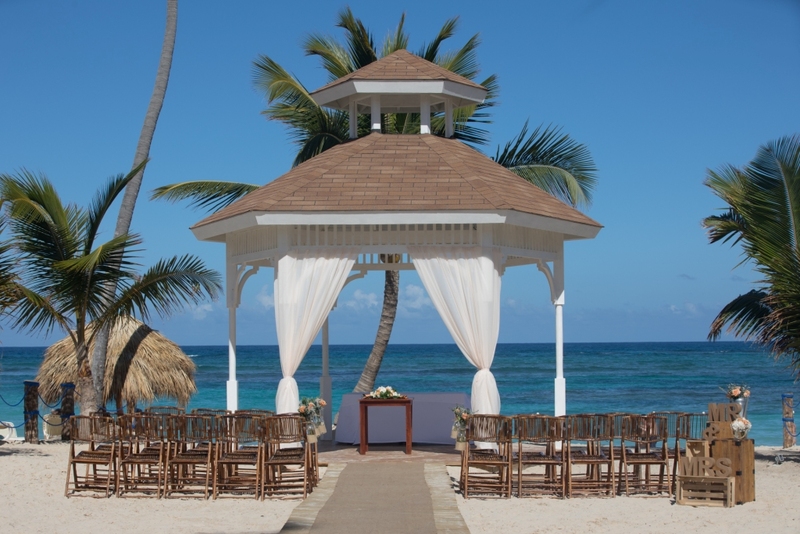 Beach – 500 guests max, Majestic Gazebo – 100 guests max, On-site Chapel – 30 guests max. A: Not booking enough days! They always want to stay more time after the wedding to really enjoy the resort without having all the guests around..
Q: What makes Majestic Mirage a great place for a destination wedding? A: Majestic Mirage has the perfect balance for all guests but since it is mainly Adult oriented it offers a very relaxed environment while still offering some fun for all ages! 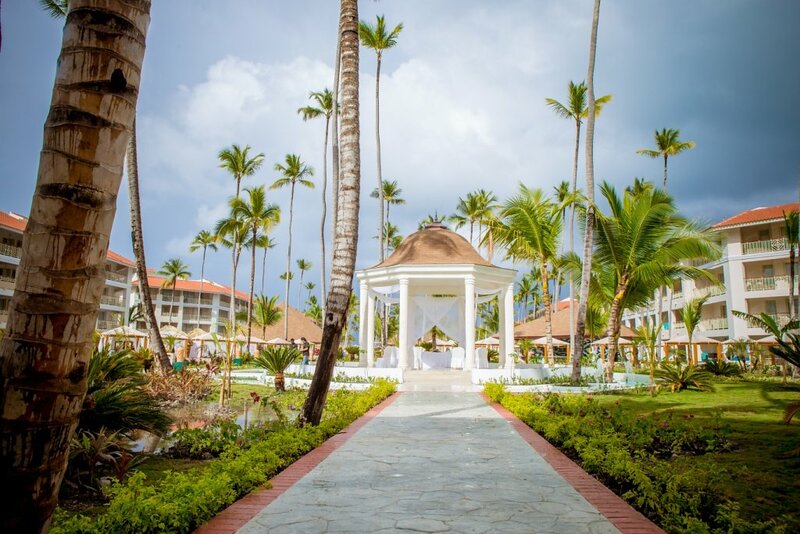 With a more personalized service and our breathtaking locations, we can make your wedding a private and intimate event for as many guests as you would like to have. A: Since we do not require a deposit to book the date, we are very popular and the dates may fill up quickly. A: The fact that it gives the least amount of stress to the couple, we know there will be stress and the couples will be emotional during this time, however, we always try to make it as less stressful as possible. We know this is not only their wedding but also their vacation to spend with family and friends that the couple may have gone years without seeing, so a special time for all the family and friends to gather together in paradise. A: I had a wedding one day where the bride had this especially gorgeous wedding gown. One of her bridesmaids tripped and unintentionally grabbed the bride not to fall and the dress ripped! I immediately went with the sewing kit and fixed it, no one noticed when she walked down the aisle and it stayed good all night! “Beautiful resort. The staff is amazing and always accommodating. Very clean and well maintained. They were doing maintenance/upgrades when we went, but you hardly noticed. I would highly recommend the steakhouse and the Japanese restaurant for meals, very delicious food! There was always something to do!! It was a great vacation! !